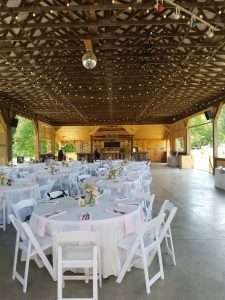 Hyland Orchard in Sturbridge is equipped with both a pavilion and a tent for your next upcoming event. 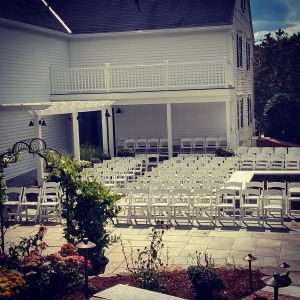 Below is picture of a wedding that Table 3 Catering brought us in to help execute. 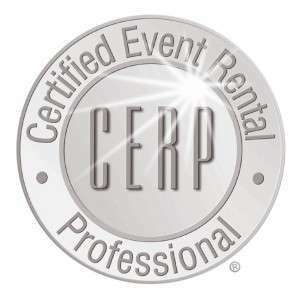 Looking for a barn venue for your next wedding but don’t want to drive hours into the middle of nowhere? 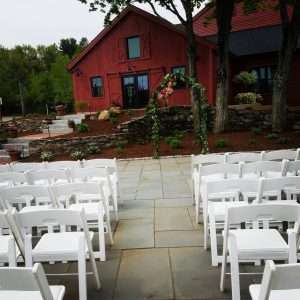 Look no more as the barn at Wight Farm in Sturbridge is conveniently located and absolutely beautiful. Here’s a few shots of wedding ceremonies at their new facility! 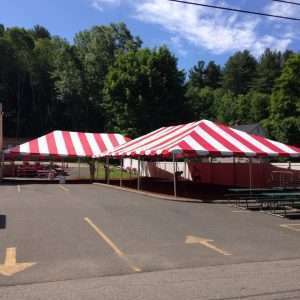 Stop by Janine’s Frostee for some ice cold refreshments and find shade from the sun under one of our two brand new 30×50 red and white frame tents. Tent liners add a beautiful and elegant touch to any tent. 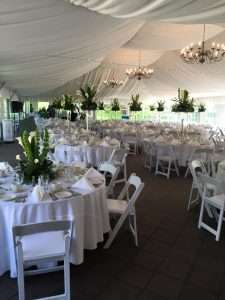 Below is a tent liner we installed at Forest Park for their seasonal install. The tent liner covers up all of the aluminum support beams of the tent. Tent liners are available in frame tents only. 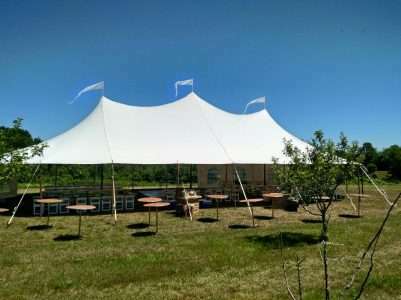 The are available in 20 wide, 30 wide and 40 wide frame tents. The photo above is of a 40×70 frame tent. Our Stillwater stretched her legs for the first time this season at the beautiful property of Misty Meadows Farm in Brookfield, Mass. Below are a few photos our install crew captured.